In addition to the benefits outlined below, most AASP state affiliates offer a full complement of member benefit programs, from continuing education programs and lobbying services to group discounts on workers’ comp and employee benefits insurance, credit card processing, uniforms, and more. For more information, return to the members page and click on the AASP affiliate serving your area. If you are located in a geographic area not served by an AASP state affiliate, you can join AASP National directly. Simply review the membership levels below, then download and complete a membership application and mail it in with payment. Join today and let AASP be your national voice in the industry and a resource that provides outstanding benefits and support for your company. Take advantage of AASP's industry-specific webinars designed to enhance your management skills and help your business thrive! Call 800-332-7977 or visit www.ufgins.com and use the Agent Locator to find your local agent. For more than 90 years, Mitchell 1 has provided quality repair information solutions to the automotive industry. Mitchell 1’s ProDemand™ (http://www.prosdemandit.com/) has revolutionized the way technicians repair vehicles and SocialCRM™ (http://www.m1socialcrm.com/) is the marketing solution that will help shops retain their current customers and acquire new ones in order to improve their bottom line profits. Mitchell 1’s Manager products continue to set the standard as the market leader in shop management systems. AASP members are eligible for special discounts on the Mitchell 1 family of integrated software tools. For more information on Mitchell 1 products and services, visit http://www.mitchell1.com/ or contact a Mitchell 1 representative at 888-724-6742, X6986. Need a trusted second opinion? The Identifix Repair Hotline has 45+ OE factory-trained, ASE master, L1 Carline Specialists ready to help — just pick up the phone and give them a call. Identifix has five diagnostic teams – GM, Ford, Chrysler, Asian and European and our seasoned professionals answer calls ONLY on their carline specialty. Our technicians are ready to assist you 7am-7pm Central Time, Monday through Friday. Direct-Hit® is Identifix’s award-winning online tool for diagnostics, maintenance and OEM service & repair. Direct-Hit is the only product that delivers short-cut test and confirmed fix information to help you Find and Fix Faster! Direct-Hit was created from over 4 million calls to the Identifix Repair Hotline – offering accurate and reliable fix information you won’t find anywhere else. AASP members enjoy $10 off per month on their subscription to Direct-Hit, the industry’s most reliable experience-based repair information system. To learn more about Direct-Hit and the AASP member discount, please call 800-745-9649 or visit www.identifix.com. 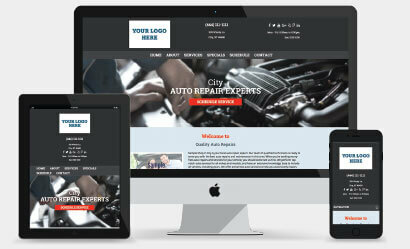 The AASP has named Autoshop Solutions the #1 preferred provider for all your website and online marketing needs! With solutions available at any price point and commitment level, we meet the needs of all automotive shops, no matter your shop size or marketing budget. If you don’t have a website, or need a new one fast, we can help you get online for as low as $195/month + set up (+ special AASP partner pricing). Check out our RPM Packages or give us a call at (888) 991-3449 to get started today! If you’ve already got a website, and you’re looking to level-up, talk to us about our custom award-winning websites and our RPM Packages. Call us today at (888) 991-3449. Exclusive Webinar Series! Sign up here as an AASP member shop and get more information about a series of exclusive webinars presented by Autoshop Solutions sharing the secrets of Internet Marketing in the automotive industry. For individuals or businesses engaged in automotive service and collision repair located outside of areas served by AASP affiliate associations. National affinity programs designed to help save/ make you money. Industry-specific federal government relations updates emailed to you. Company listing on the AASP website. AASP member logo for inclusion on your company correspondence and advertising. For individuals or businesses providing goods or services to those engaged in the automotive service and collision repair industry. Membership in a growing association for the automotive service industry in the United States. Potential sponsorship opportunities of national AASP programs. A link to your company website on the national AASP website. For nonprofit groups, trade associations and/or organizations with regular members engaged in the automotive service and collision repair industry. Your state/regional association can benefit by becoming an affiliate member of the Alliance of Automotive Service Providers (AASP). Our philosophy is simple: Strengthen state/regional organizations so that they, in turn, can further the sustainability and growth of their members. Our affiliate members make up our dynamic board of directors and help drive the organization. You will have a voice on legislation, regulations and industry issues at the national level. You will have access to national-account member benefit programs. You will have the opportunity to learn and network with some of the most progressive state/regional association professionals in the industry! Affiliate membership in AASP is an affordable, convenient way to provide additional benefits to your members. 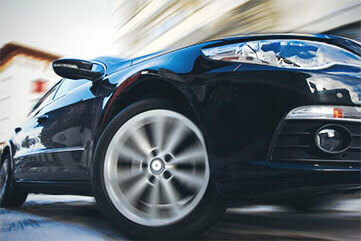 Please contact info@autoserviceproviders.com to learn more.